Macys: Prism is reporting my account is closed. First, begin by logging into Macy's website. 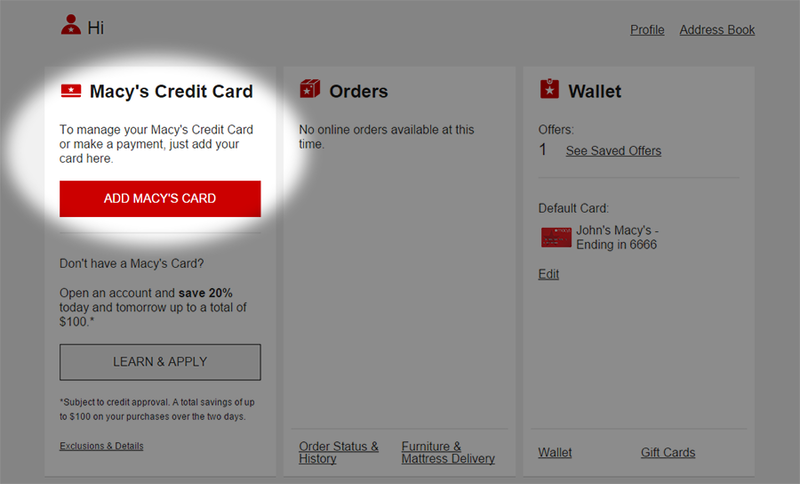 Once you've logged in, you will see an area to the right marked "Wallet", and an area to the left marked "Macy's Credit Card". While you may have added your credit card under "Wallet", this is only used for making purchases on Macys.com, and doesn't exhibit any pertinent billing info for Prism to display. You will need to add your card under "Macy's Credit Card." 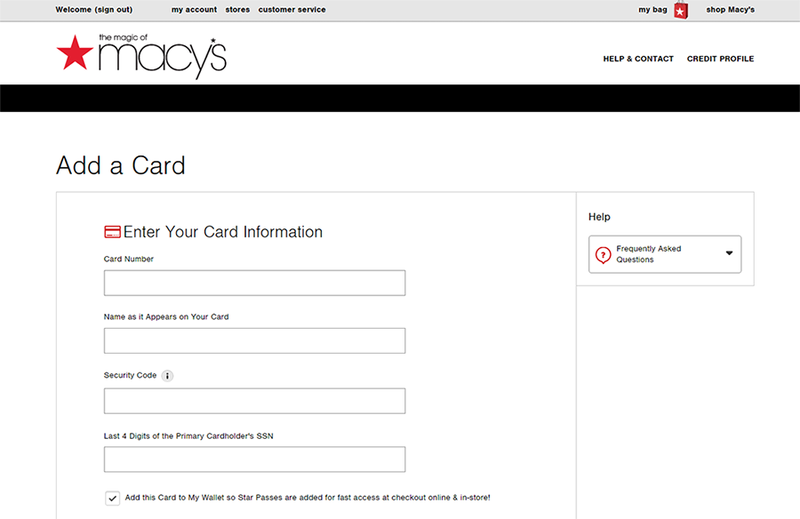 Simply click the large red button marked "ADD MACY'S CARD." You will then be taken to a page that will prompt you for your Macy's card's number, the name on your card, the card security code (located on the back), and the last 4 digits of the cardholder's social security number. Once you have supplied this information, click submit. You may be prompted to setup your security questions, but that's it! Now that your card has been added to the billing portion of Macy's website, simply re-fresh your Macy's Credit Card biller in Prism, and your account will begin to sync!